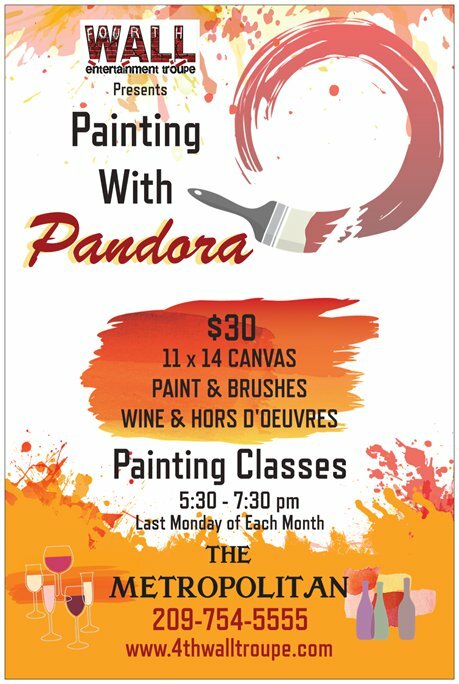 Paint and sip with Pandora typically occurs on the last Monday of each month. Your $30 admission provides you with a canvas, easel, brushes and paint for your class with local artist, Pandora Muetterties. You will also be treated to local wines and appetizers created by our own chef.